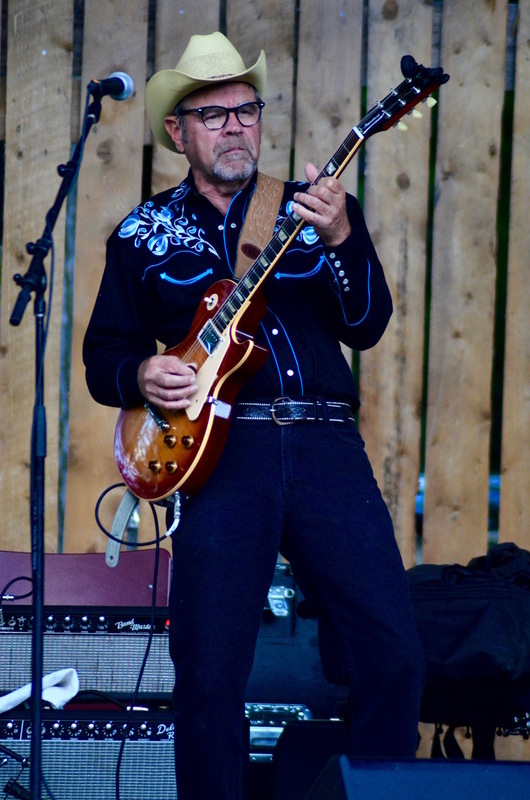 Brent Parkin is a veteran of the Winnipeg music scene and has been playing for audiences in Winnipeg and across Canada for well over 40 years. Brent’s music is a mix of Chicago style Blues, Swing, Roots music with some Country and Roots Rock and Roll thrown in for good measure. He is comfortable playing with his band whether it be a 3 piece or up to 7 piece, solo or duo. Check out YouTube for videos including a performance with the Winnipeg Jazz Orchestra 20 piece band or his solo version of Kingfish Blues. In the early 70’s he co-founded several popular blues bands including the popular band Houndog in 1976. In the last 43 years he has been part of the backup bands for such legends as Bo Diddley, Gatemouth Brown, Otis Rush, Billy Boy Arnold, Johnnie Johnson and Jimmy T99 Nelson and many more. As well as opening shows for such greats as James Cotton, Johnny Winter, Buddy Guy, John Prine just to name a few. A career highlight was sharing the tour bus and stage with BB King and his band as his opening act on a Western Canadian tour in 1983. Numerous appearances at the Winnipeg Folk Festival also made it possible for Brent to play and share many work shop stages with a lot of great artists over the years. This experience has come in handy when doing shows in schools and such. Over the years he has appeared on many TV and radio shows. Some of the most memorable were 90 Minutes Live CBC with Peter Gzowski. Jimmy King Presents CTV’s Live at the Warehouse. His original songs “Goodbye Canadian Penny” and “Brown Water Blues” were also featured on CBC Radio Up To Speed Winnipeg and CBC National Radio As It Happens in 2012 – 2013.